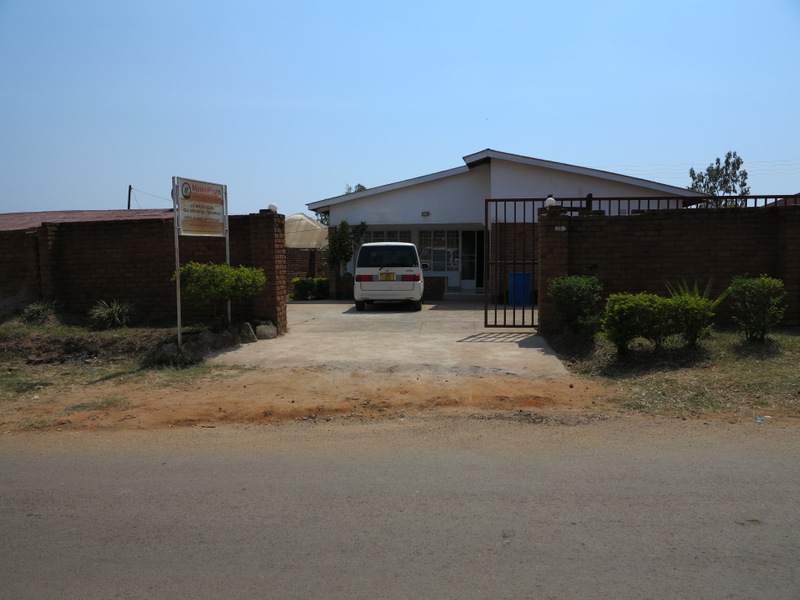 It’s great to be at our new office in Mzuzu – office space is scarce in the city so we have rented a house which has offices for our senior staff and also provides bedroom accommodation for guests, which means Charles and I are literally sleeping on the job! Days are full here because there is so much work to fit into a short trip. We were delighted to finally sign our formal contract with the United Nations Development Programme who are match funding the donations of the Guild and Rotary clubs. 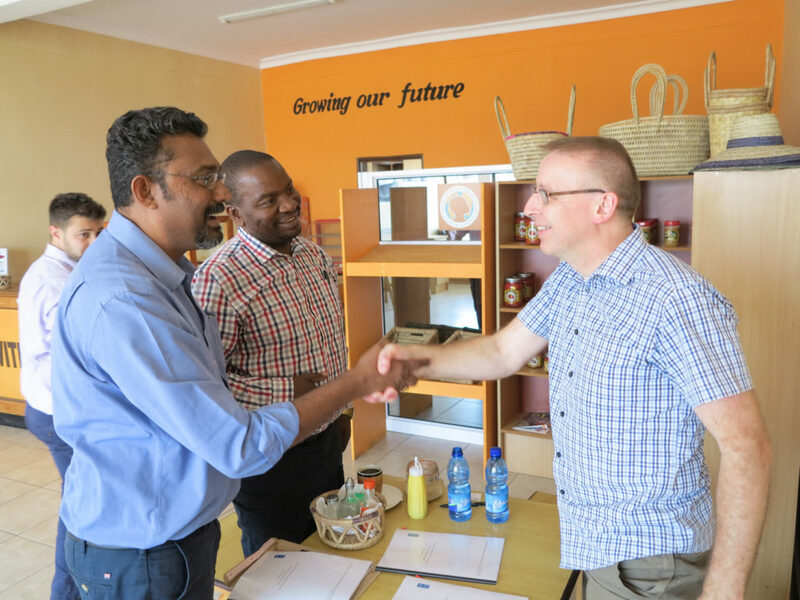 Navin and Tambulani (pictured) are the key staff who have helped us through all the negotiations and will work with us throughout the next three years: this is all a great step forward for Malawi Fruits. 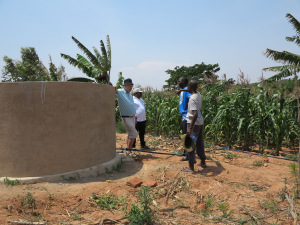 This afternoon, we visited our new Demonstration Farm which is the venue for training and demonstration of irrigation pumps and equipment which can transform farming for young people. 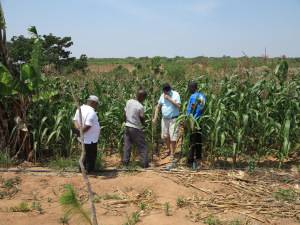 This is the driest, hottest part of the years but on the irrigated plot there was the tallest maize I have ever seen. 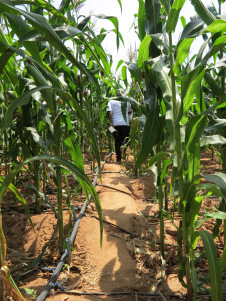 The combination of a Futurepump (solar powered irrigation pump), water tank and drip irrigation is the ultimate package that will significantly enhance the income of the farmers and they can work towards this in three achievable steps. What a privilege to bring Good News to the poor in such a practical way!